It’s no secret that extreme weather is a fact of life in South Louisiana. Every hurricane season brings new threats of extreme wind and rain, and damaging hail is also a strong possibility in wet winters. Not only is roof repair after such weather expensive, but the damage to the interior of a building in case of roof failure can be even more devastating. Although homeowners have their own worries when it comes to inclement weather, business owners should have an even greater interest in quality roofing: commercial and industrial buildings represent not only the place where work is done, but where the owners and employees make their living to support friends and family. When it comes to commercial flat roofing in Lafayette LA, silicone coatings are an increasingly common and sensible choice. Metal roofing has often been used in the past in commercial and industrial flat roof applications. Metal roofs are different from typical residential asphalt roofs in that they are more durable, longer-lasting, and better able to endure the high winds, heavy rain, and flying debris that is common in hurricane season. With some metal roofing being rated to withstand winds up to 120mph, it’s an attractive choice for business owners in hurricane-prone areas. Metal roofing, however, can be expensive, especially in commercial and industrial applications where the square footage that needs to be covered is significantly higher than in a residential job. 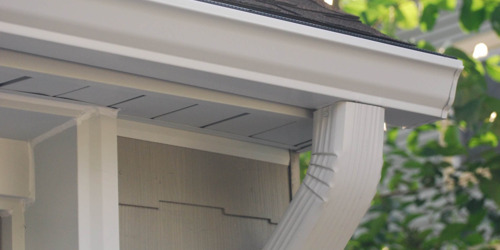 Plus, metal roofing is expensive to repair or replace when damage inevitably occurs. 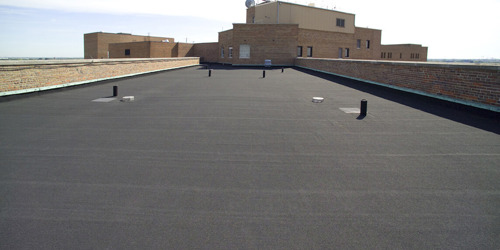 In order to avoid costly repairs or even total replacement of a metal flat roof, more and more business owners have been taking advantage of silicone coating technology to keep their roofs in good condition. Instead of paying the significant cost of materials and labor to replace the roof entirely, silicone coating works by simply applying a layer of silicone to the existing roof which sets and protects the surface from UV damage, pooling water, and physical abrasion from falling limbs and other hazards. Silicone coating ultimately ends up being less expensive and more efficient for future repairs, since additional layers of coating can simply be applied in the future when needed to ensure that the roof stays in good working order. The durability of a roofing system is of utmost importance for the purposes of commercial roofing in Lafayette LA. 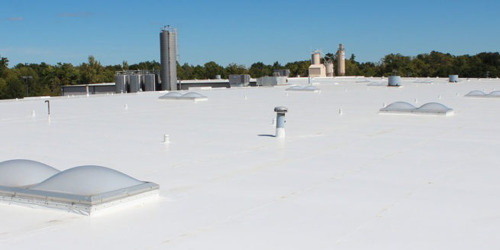 If you’re in need of roof installation, repair, or replacement, consider the benefits of silicone coating and how it could benefit your business.